Behind bars in Japan, Carlos Ghosn has already been stripped of his leadership roles at Nissan and Mitsubishi—leaving questions for Renault, the third carmaker in their alliance, over who should steer the French company now. 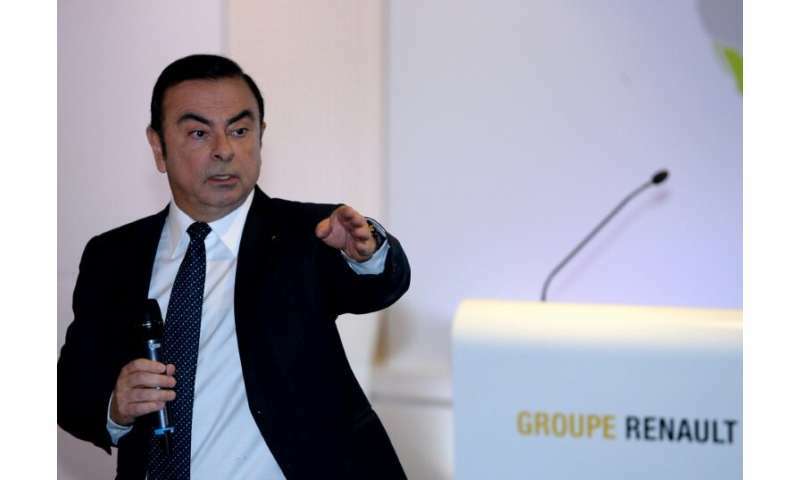 Tensions are also running high between Renault and its Japanese partners following the sensational allegations of financial misconduct against Ghosn. Ghosn is still Renault's CEO—but he needs to be replaced, with even his own lawyers acknowledging he could remain in jail awaiting trial for months. "It's a foregone conclusion," a source close to the matter told AFP. A former senior executive said Renault was "in the process of recruiting Ghosn's replacement", while a third source said: "There will be a replacement, we just need to be a little patient." Thierry Bollore, Renault's chief operating officer, has temporarily taken the reins and would be Ghosn's natural heir. Senard's posting at the top of the tyre-making giant is coming to an end in May and he is well-liked by the French government, which with a 15 percent stake is Renault's biggest shareholder. One plausible scenario would see him become chairman of the board, while Bollore would remain on as chief operating officer. 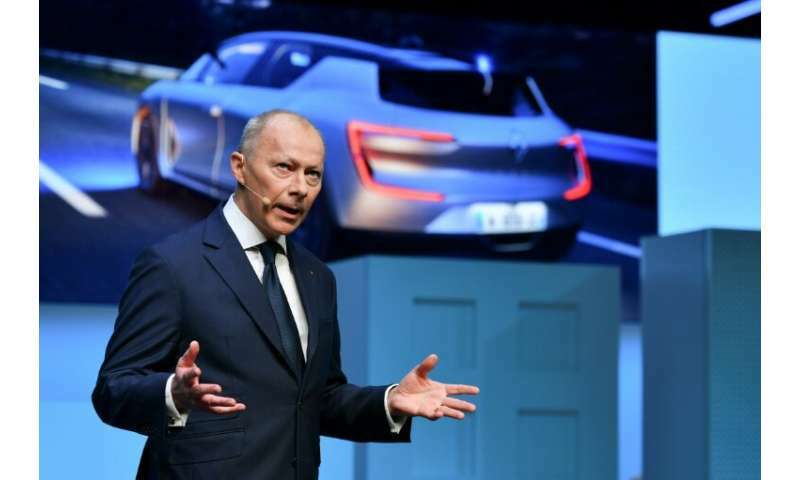 PSA chief Carlos Tavares, whom Ghosn ousted from Renault in 2013 for daring to hint that he wanted to run the firm, is also being discussed as a possible successor. Several senior French officials have been dispatched to Tokyo for talks with Nissan chief Hiroto Saikawa, which could speed up the naming of Ghosn's replacement. A change in leadership structure? Several sources say his replacement at Renault will not necessary also lead the Renault-Nissan-Mitsubishi Alliance, which is based in the Netherlands. Renault's CEO job could even be split up between an executive general manager and board chairman, a structure used by other French companies partly owned by the state. One industry insider said it was "normal" for the recruitment process to take time, adding "the streets are not overflowing" with potential leaders of firms this large. French Finance Minister Bruno Le Maire stressed that "there is a pilot in the plane" in Ghosn's absence in the form of Renault's temporary leadership. Ghosn, accused of with breach of trust and under-declaring his income, had been seen as the glue binding together the complex three-way structure that makes up the world's top-selling auto company. Nissan says the alleged financial misconduct came to light through a company whistleblower—a source of angst at Renault, which has denounced what it called a "deliberately orchestrated destabilisation campaign". The documents passed to investigators have targeted figures close to Ghosn including Mouna Sepehri, Renault's head of legal affairs and communications. Resentment has long been brewing in Japan over the structure of the alliance, which some say gives Renault an undue share of Nissan's profits. Some within French company suspect Nissan of seeking to tip the balance of power within the alliance to the detriment of Renault, which currently holds 43 percent of its Japanese partner after saving it from collapse in the early 2000s. Nissan CEO Hiroto Saikawa dismissed this as "absurd", saying: "Look at the evidence. It's serious." Another source said it was inevitable that there would be "battles for influence" and "score-settling", but insisted the alliance would live on to see another day.